I will present “45 Gardening Tips in 45 Minutes” at two upcoming events, both of which are open to the public. Monday, April 15: Smallwood Garden Club meeting at 7 p.m. at Forest Elementary School, 250 N. Forest Rd., Williamsville. Monday, April 22: Earth Day talk at 7 p.m. at the North Tonawanda Public Library, 505 Meadow Drive, North Tonawanda. This is a fast-paced presentation– I have to average one tip per minute! I want everyone to walk away with something they can use in their own yard, so I offer tips on a wide variety of gardening topics: flowers, fruits and vegetables, container gardens, gardening in small areas, helping the environment, soil, plant choices, quick things you can make for your garden, extending the gardening season and more. There are lots of pictures, too. If I stay on track and cover all 45 tips, there may be enough time left to hear some bonus tips or for you to share your favorite tip. I hope to see you there. We want to avoid constructing new buildings on natural habitat and farmland. In the City of Buffalo, we have an advantage over other overbuilt cities. In Buffalo, we have many buildings that are vacant. That’s actually an asset if you want development that’s sustainable — We can reuse our wealth of vacant and underused spaces. 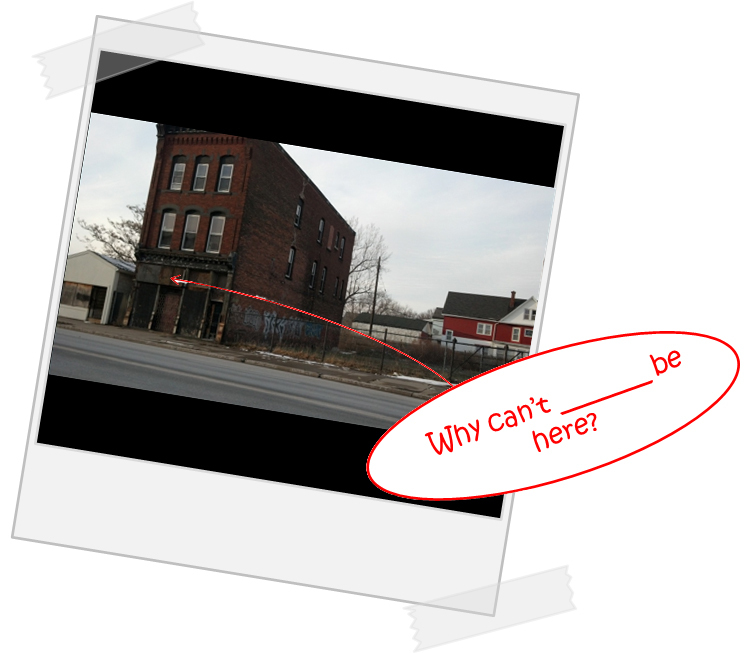 A contest open to block clubs, students, families, neighborhood activists, artists, planners, professionals and anyone who wants to improve Buffalo is seeking ideas on how to reuse that vacant space. Designing to Live Sustainably 2013 is an architectural and site design competition for the City of Buffalo. To get some ideas, click here to download a guide for submissions. People can work as teams or individuals. While the final design isn’t due until May 3, the registration deadline is 5 p.m. Friday, April 19. The entry fee is $40 per submission. More competitions are planned for the next two years. Designing to Live Sustainably 2014 moves the focus to similar criteria for the other urban and densely built suburban centers in the Buffalo-Niagara region. Designing to Live Sustainably 2015 will seek comprehensive regional designs that will build upon the synergies of the architectural and site designs from the previous competitions. 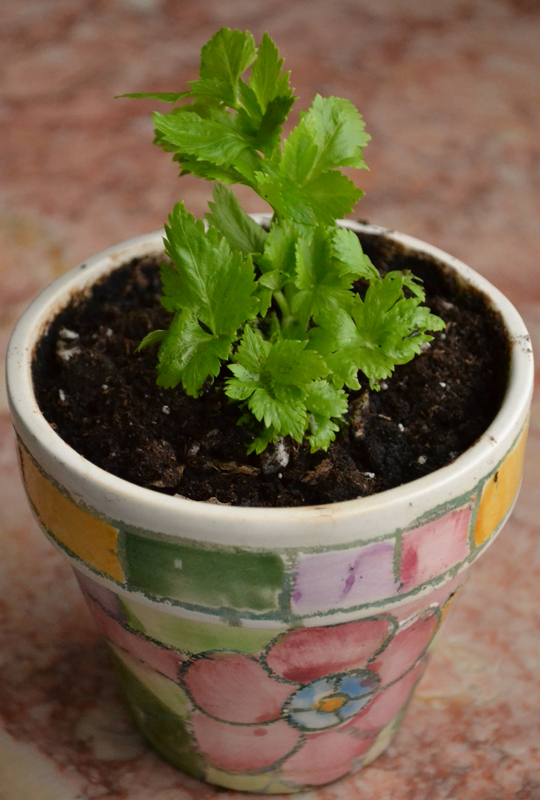 Last month, I told you how easy it is to get a new celery plant from the stump of the old plant. I had transplanted the new plant and was growing it indoors near my sunniest window. It was doing well. Unfortunately, a few weeks after that article was published, the plant withered and died. I think it didn’t get enough light. Of course, it was still too cold to transplant it outside. I have a couple more plants starting now. I plan to transplant them into pots in a week or two. When the weather is nice enough, I’ll be able to move the pots outside during the day. If all goes well, I can try planting them in the garden. I’ll have to make sure I protect the plants from rabbits. I’ll keep you posted on this experiment. Sad to here your celery died. I thought it a great idea. Is the talk you are giving for the Smallwood garden club on April 15 open to the public? Donna, I still think the celery is a good idea. 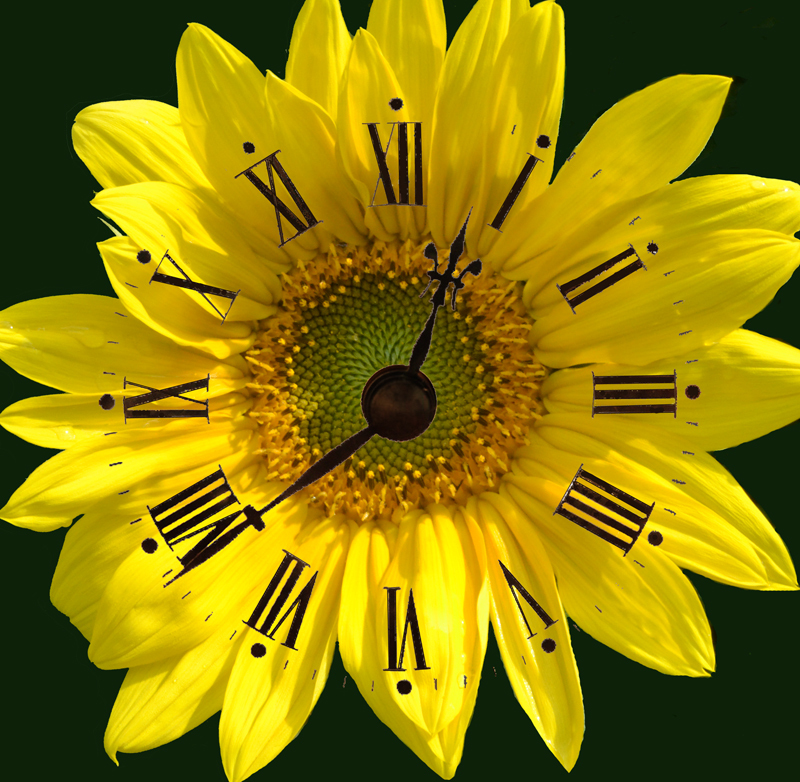 But it’s like starting plants from seed– You have to get the timing right. You can’t start them in the house too soon. I think the celery plants I’m starting now will work because I’ll be able to get them outside. Yep, the Smallwood Garden Club welcomes visitors. When is the event at the North Tonawanda Library? There wasn’t any date mentioned in your e-mail. Thanks. I’ll present “45 Gardening Tips in 45 Minutes” on Monday, April 22 at 7 p.m. at the North Tonawanda Public Library, 505 Meadow Drive, North Tonawanda.